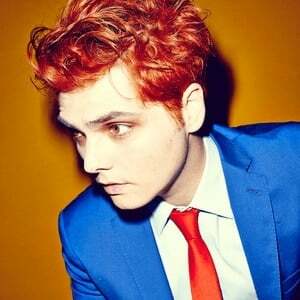 Gerard Arthur Way (born April 9, 1977 in Summit, New Jersey, United States) is an American musician and comic book writer who was the lead vocalist and co-founder of the band My Chemical Romance from its formation in September 2001 until its split in March 2013. He is the executive producer of the band LostAlone's second album I'm a UFO in This City. Way also wrote the comic mini-series The True Lives of the Fabulous Killjoys, and wrote the Eisner Award-winning comic book The Umbrella Academy.